FamilyLink Kids at Legacy Ranch is a non-profit Licensed Foster Care and Adoption agency that works directly with Child Protective Services to find homes for children who have been abused, neglected or exploited. We founded FamilyLink because, as foster and adoptive parents ourselves; we recognized the incredible need for safe and loving foster or adoptive homes for these children. God has a great purpose and destiny for each of them but they need a family for that to be accomplished. Day and night we receive calls, “Do you have a home for a newborn, 1, 5, 10, 13 yr old pregnant teen…?” There is reimbursement for foster care; insurance is provided, as well as free adoptions and state college tuition! Are you, or someone you know, interested in becoming a foster or adoptive parent? Becoming a mentor/volunteer or child advocate? We are also available to share at your church or community meeting/event on behalf of the children. Please spread the word and help us in our cause of finding great homes for these children. 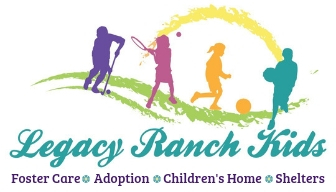 In an effort to further help these children, we have established Legacy Ranch, a weekend retreat and summer camp. Our goal is to help replace the heritage of abandonment, abuse and neglect with a legacy of hope, love and destiny. We have more weekend retreats coming up soon. During our retreats we have art therapy, sports, sibling reunification and one-on-one time with mentors, all of which makes a huge impact.